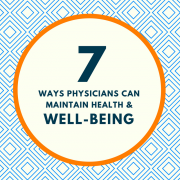 For new physicians, residency can be some of the toughest years of their career. Arguably the most important part about the scheduler’s role is ensuring that all residents meet their duty hours each month. 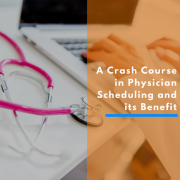 This is a fairly simple task, and it’s made even easier with rules–for example, with Intrigma’s Efficient Scheduler, once the ACGME hour limitations are set, the scheduler will be alerted before publishing the schedule if a scheduling change may violate the rule. Schedulers can also create separation rules dictating how many consecutive shifts residents are allowed to work. This, of course, addresses the risk of residents becoming burned out from working long hours on little to no sleep. In some urgent situations, residents may exceed their hours. 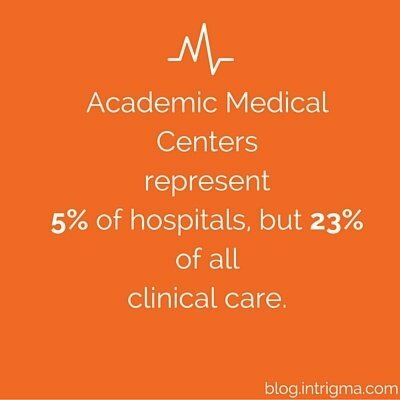 If a resident is attending to a critical patient, for example, they may overload on their required hours to provide extra care. Since the paper trail is so important for compliance, Efficient Scheduler allows residents to attach a note explaining the reason for exceeding hours, so the information can easily be passed on to administration if necessary. 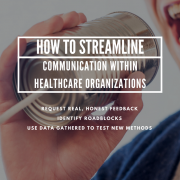 Having a record of the overload also provides the organization with documented proof, which they can present to the ACGME in case they’re audited. Violations found during these audits can cost an organization thousands of dollars each, depending on state guidelines, so avoiding them is crucial. 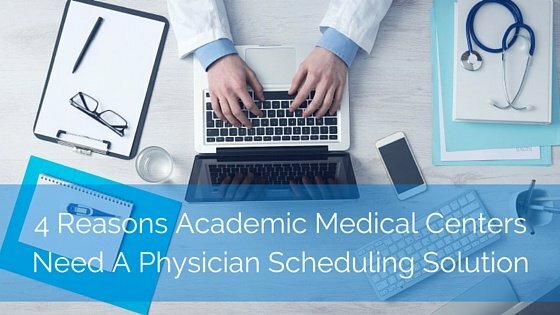 Sometimes the Chief Resident or administrator builds the schedule alongside a co-scheduler, especially if there are a lot of residents and time for scheduling is limited. 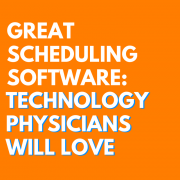 A scheduling solution shouldn’t require much extra effort to save updates–with Efficient Scheduler, most changes auto-save, while other changes may just need the click of a button to confirm. The hardest part about co-scheduling when it’s done manually is that both individuals have to be in communication so often. Whenever one scheduler makes changes to the schedule, she has to remember to label the most recently changed document and pass it on to her co-scheduler, and vice versa. 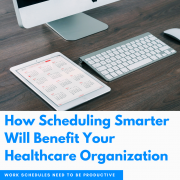 A scheduling solution removes that worry and the extra time involved by reducing the amount of emails passed back and forth each month and centralizing scheduling communications so schedulers don’t have to worry about changes being lost. 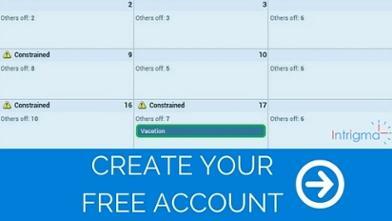 Scheduling solutions make it easier for the scheduler to manage vacation and time off policies by allowing for request limitations. 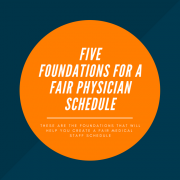 If, for example, residents are not allowed to submit time off requests during inpatient months, the scheduler can set that limitation and Efficient Scheduler will not allow submissions during that time period. 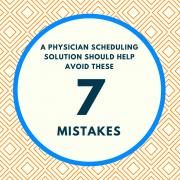 If the request is an emergency, the residents can contact their scheduler directly through the system as well. 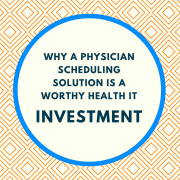 Recent studies have shown that managing time is one of the biggest challenges for residents, and the points above are just some of the ways that a scheduling solution can ease that burden.